I decided to have some fun with the new Happy Hues paints from JIllibean Soup and create a cheerful sunshine theme card. It all came together with the new Saffron Yellow Pepper Soup and new Jillibean Seals & Banner stamp set. 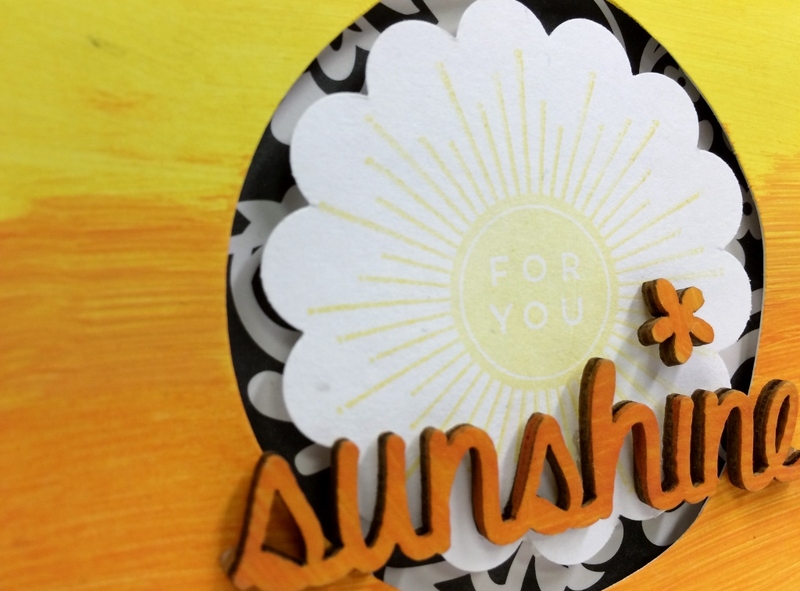 First I grabbed the fun yellow polka dot paper and then layered on some trendy black floral paper. Next I stamped the seal in yellow ink onto plain white cardstock. Then I let it dry and punched it out using a scalloped circle punch. Then I chose one of my new favorites, the wood veneers and painted it outrageous orange and a small flower too for the dotted “i”. I wasn’t done with the paints yet, they are just too much fun. So I grabbed a mini placemat and cut out the “SNAP” word inside then I painted it ombre style with yellow and orange paints as shown. Once all the paint dried I added all the parts to the card with 3D foam dots. All except the wood veneers they were adhered with glue dots. A fun project of a card, with a rainbow of paints to play with how can you go wrong? Share some sunshine with someone you love today. So have you discovered pocket pages yet, the project life phenomenon is still very popular. 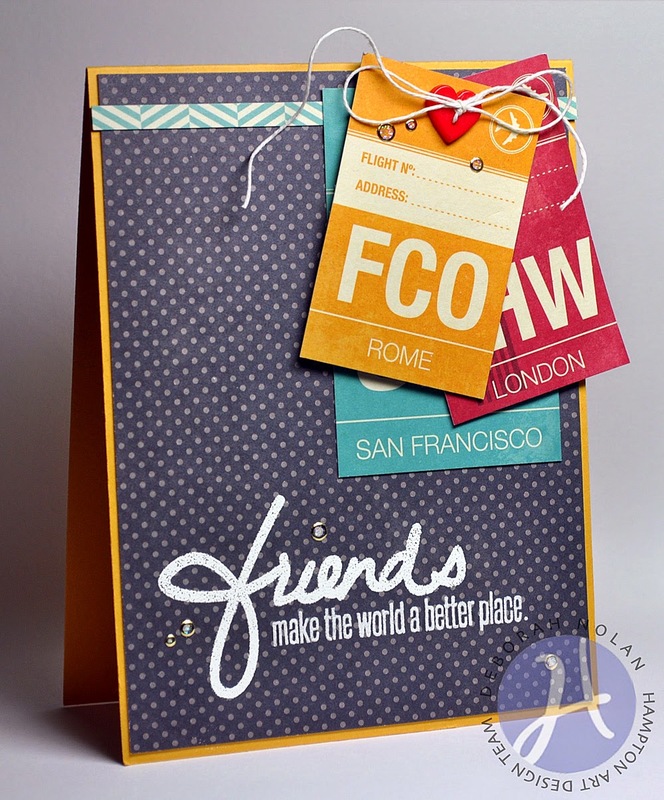 This is a great way to create a scrapbook quickly. 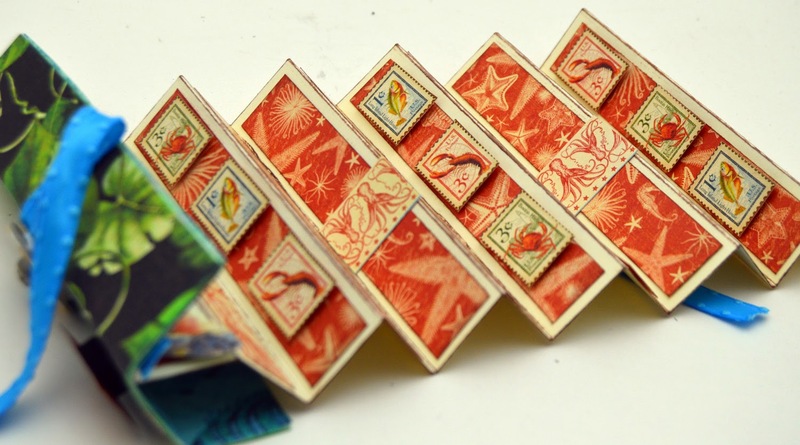 So instead of buying journaling cards and titles, pull out your stamps and make them. 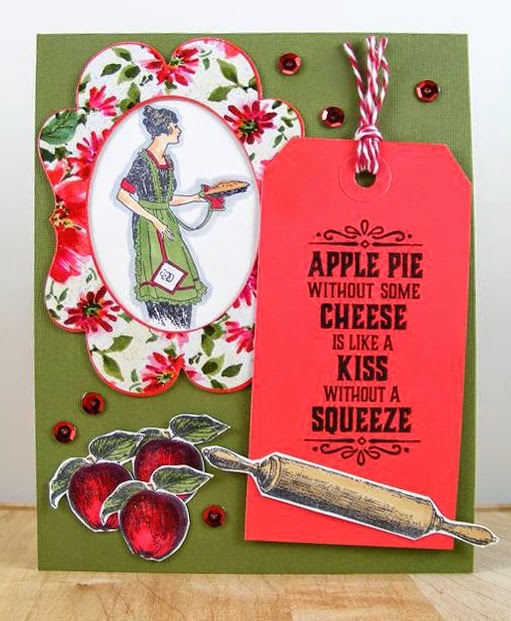 On this page I utilized the new Summer Red Raspberry papers, stamps and embellishments. I started with four photos and a pocket page, two of the photos I cut down as shown. The other two I just slid right in after I added a peapod to each. 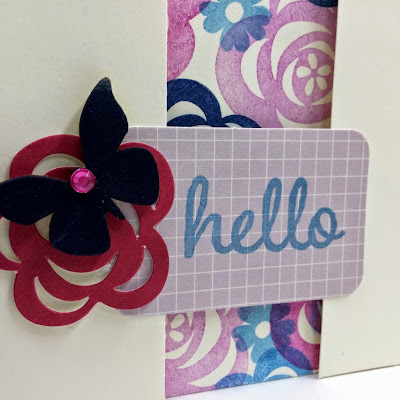 The center title card I stamped with blue ink “hello spring” and added a pea pod flower and layered onto the raspberry paper. Under that in the center I added the cut down photo, 3 x 4 and slid it into its pocket. Under that is a super quick cut out from the bite size bits paper. 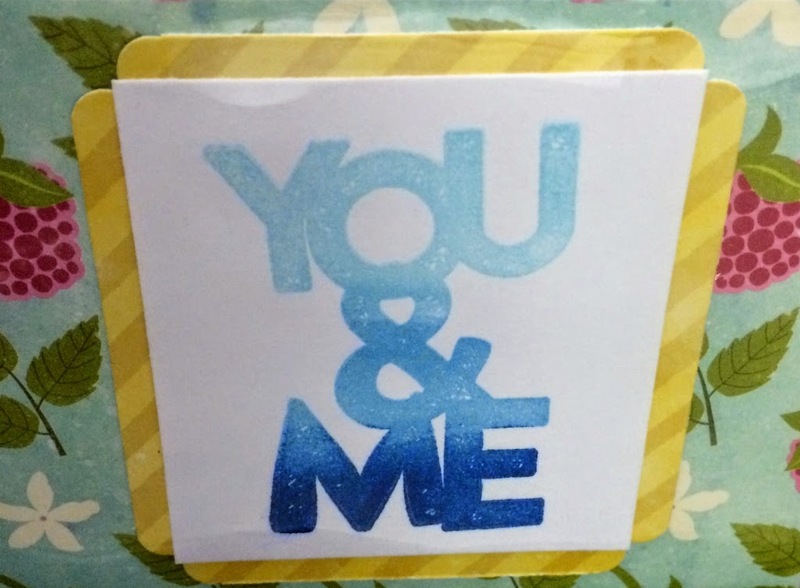 Then I stamped the “You & Me” onto white cardstock using three shades of blue for a fade effect. Then I layered it onto yellow stripe paper and corner punched the corners. 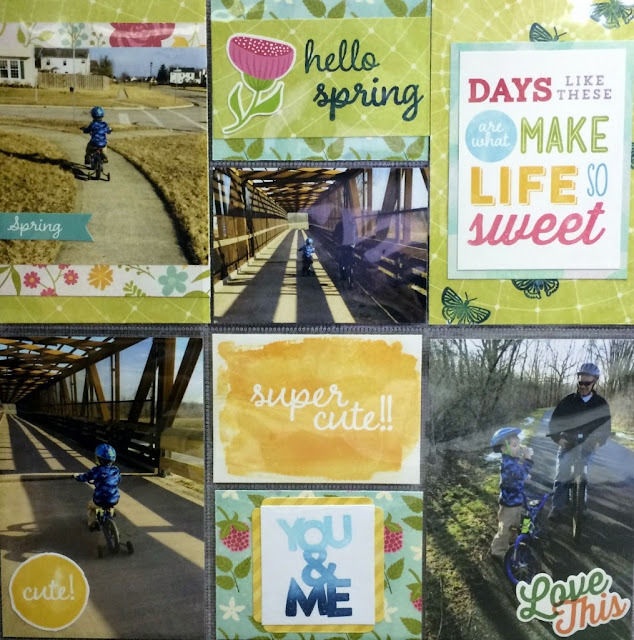 The top left photo was cut down to 4 x 4 and layered onto two more patterned papers. I added the Spring pea pod to the photo. The right top pocket has stamped butterflies in blue ink and another cut out from the bite size bits paper matted in light blue bubbles paper. A sweet way to capture a spring day, don’t you think? No better time than the present to try a pocket page. 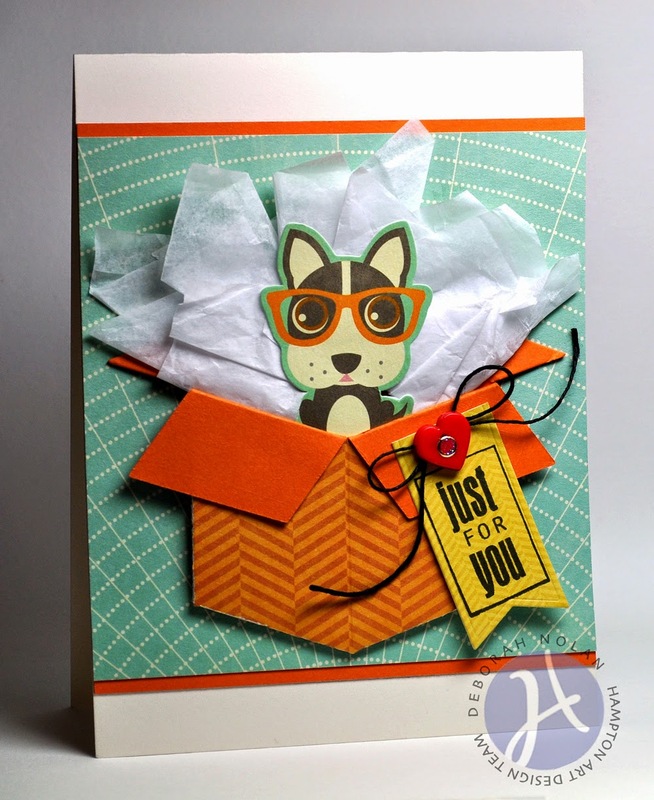 Today's card features some products from Jillibean Soup's Cool as a Cucumber Soup collection. Cut patterned paper panel and adhere. 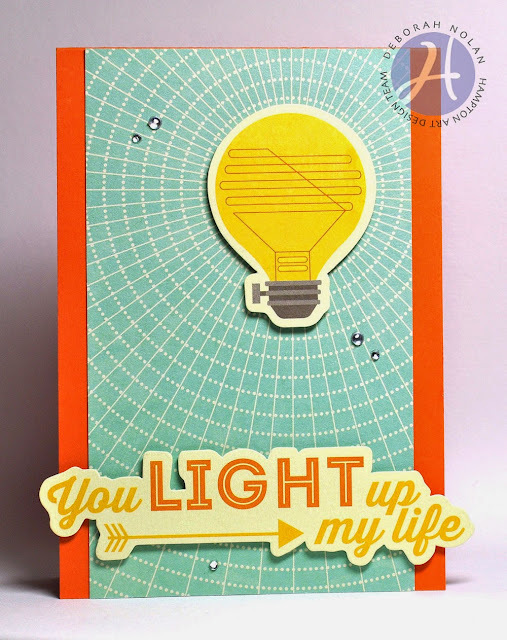 Adhere light bulb and sentiment with foam dimensional tape. Welcome to the Hampton Art blog! 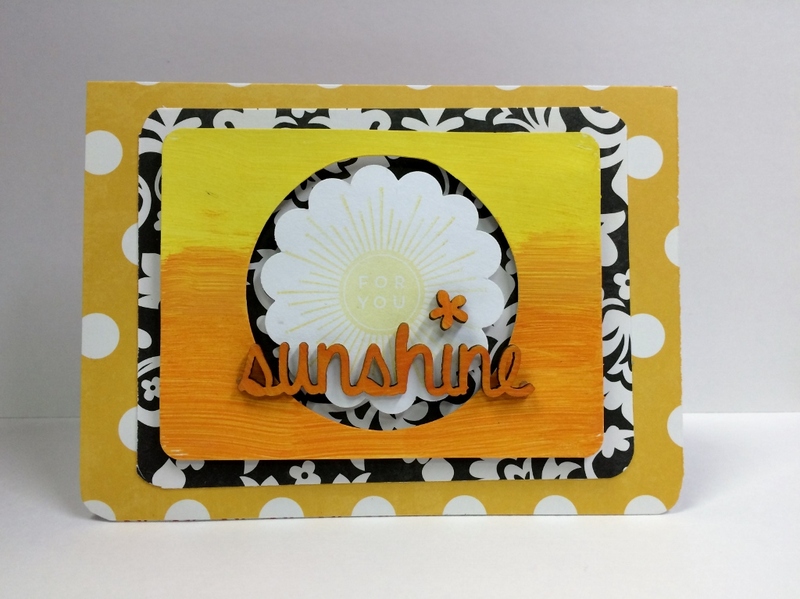 Today's card uses die-cuts and patterned paper from the new Hampton Art / Jillibean Soup line called Saffron Yellow Pepper Soup. 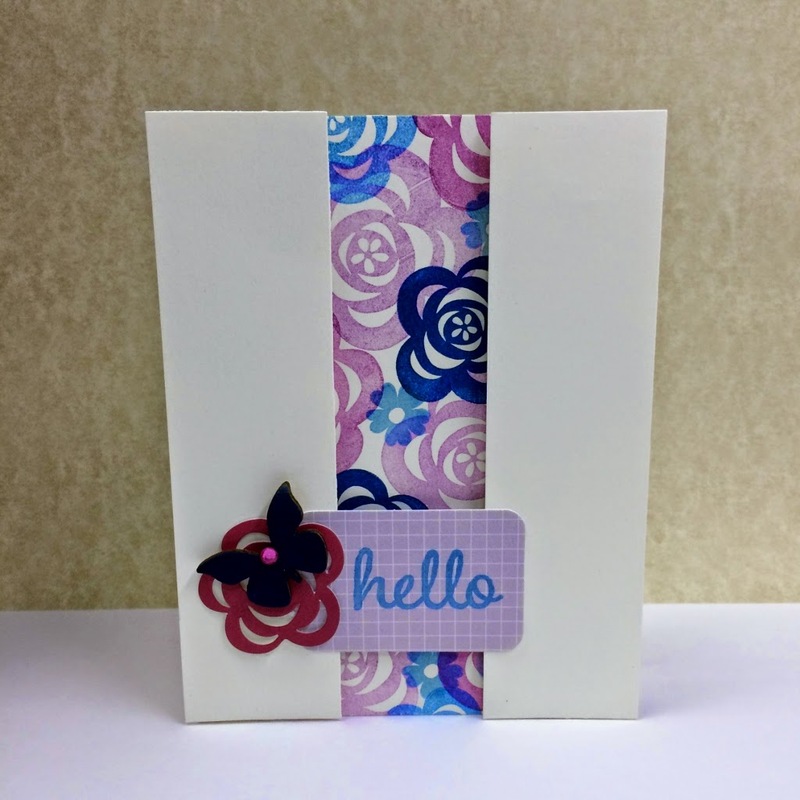 This floral card is all about the stamped center panel. Using the brand new Summer Red Raspberry stamp set from Jillibean Soup and a few embellishments was all that was required. I started plain white cardstock and began stamping the flowers in three different sizes and three different colors. The colors I chose are dark blue, medium blue, raspberry and violet. 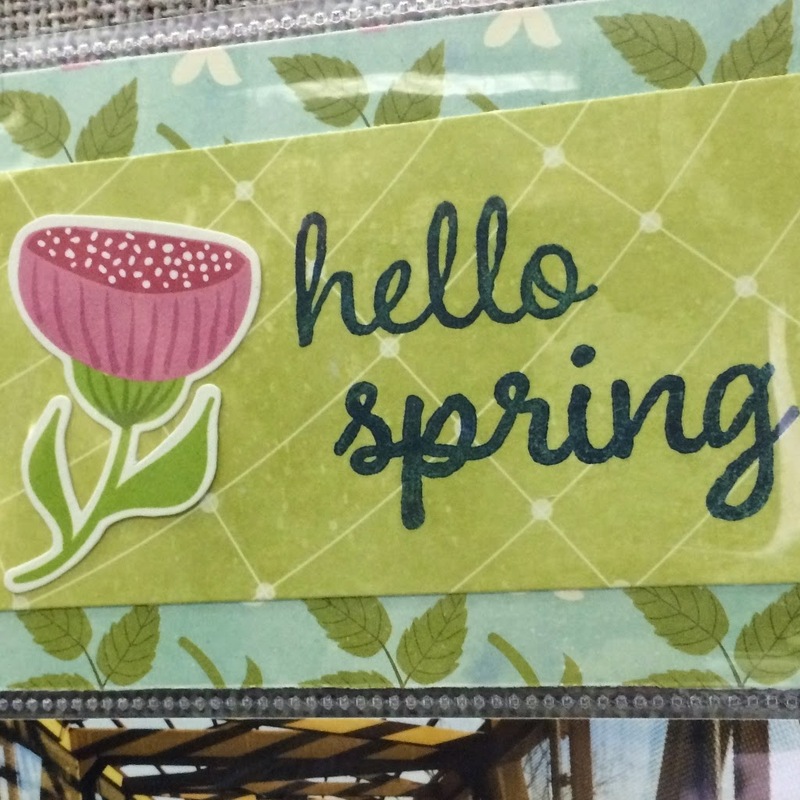 Next I grabbed a notebook tag and stamped the hello sentiment in medium blue. Then I layered on two plain white cardstock side panels as shown. 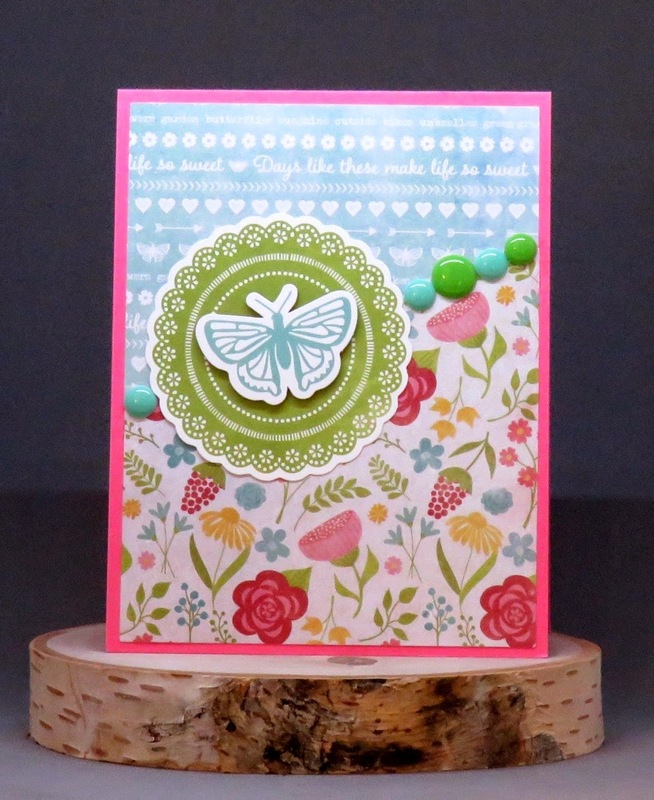 After that I added the tag and a pea pod diecut rose with a butterfly wood veneer mounted on top. 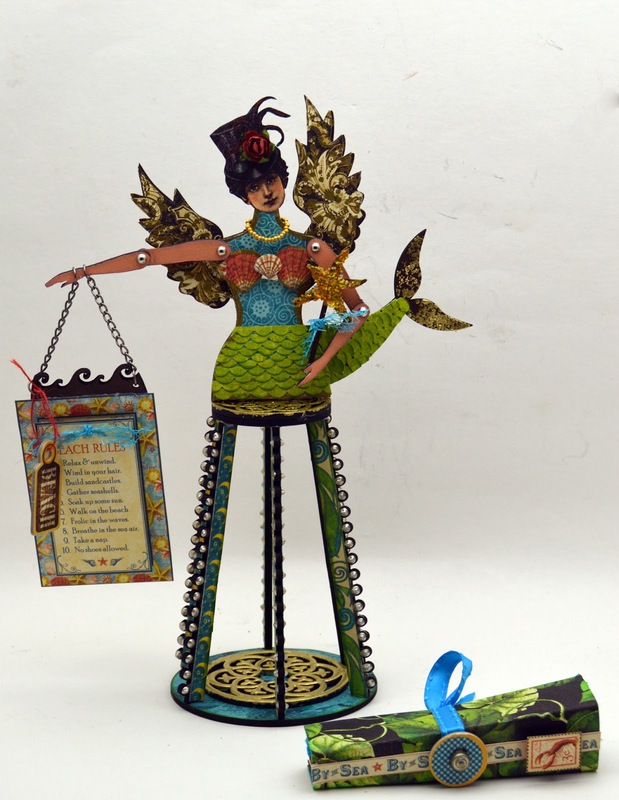 The butterfly was first painted using the brand new Happy Hues paint in Bashful Blue. Then I added one pink gemstone for effect. Perfect card to say hello, however just by switching the sentiment you could adjust for any occasion. This month is all about the mothers in our lives. Here is a card to help celebrate Mother’s Day, any day of the year, using some new Summer Red Raspberry Soup papers and two new stamp sets. To begin I layered the light green paper onto the base and then offset the doily paper as shown with a rounded corner punched on both. The doily paper was added with foam dots. Next I cut the striped paper strip and adhered as shown. Then using a stampable white doily I stamped directly onto it with the doily stamp in a medium blue and then the sentiment stamp in dark blue. 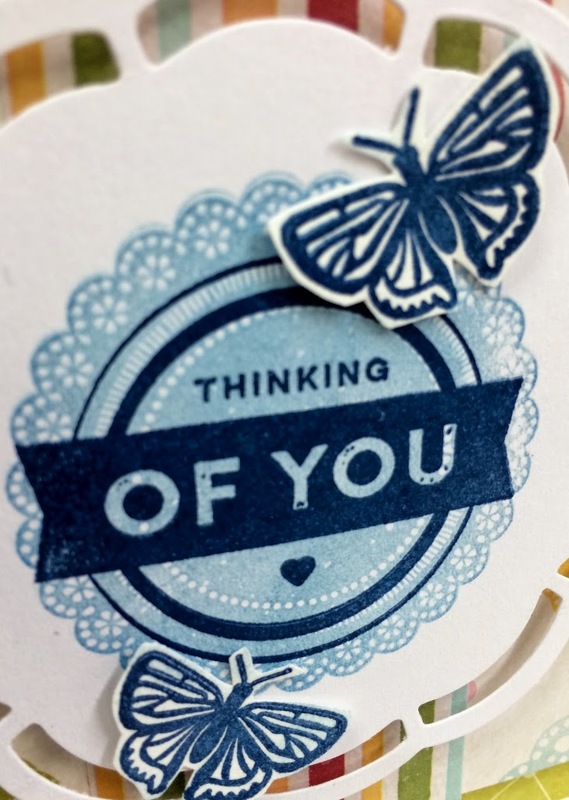 Next I stamped the small butterflies in dark blue onto white cardstock and fussy cut them out. Then I attached them with glue dots, folding up the wings slightly. 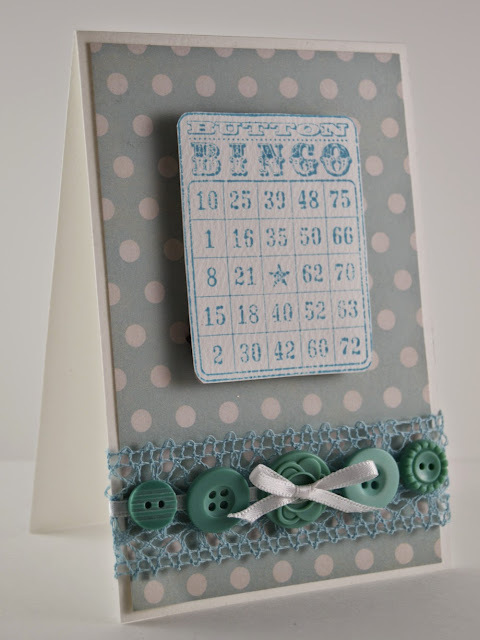 The doily was then added to card with foam dots onto border strip. Last I added the word “Mom” in pink letter stickers. 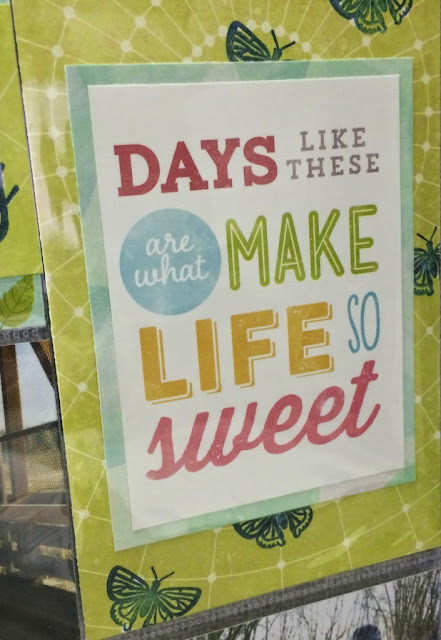 It was just that easy to create a handmade card for Mom. 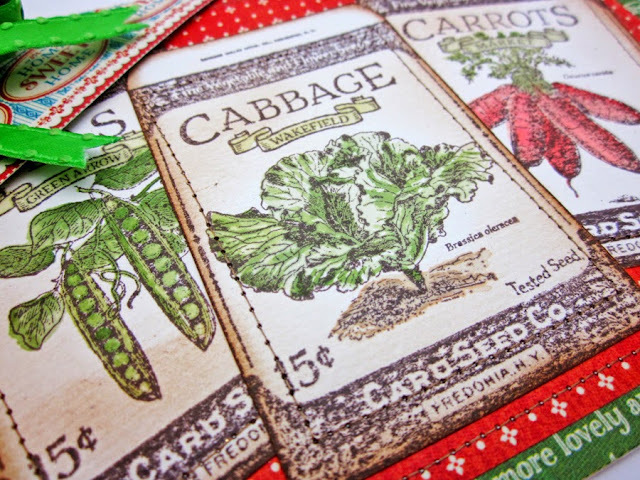 Take a look at your stash and see what stamps you can layer today. The possibilities are endless. Welcome to the Hampton Art blog! 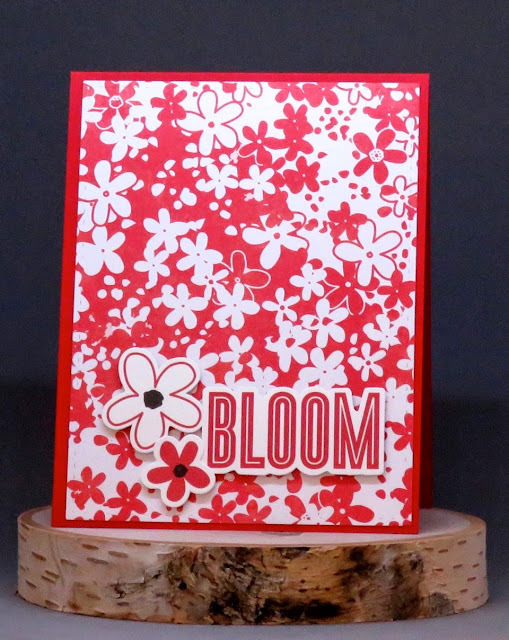 Today's card uses die-cuts and patterned paper from the new Hampton Art / Jillibean Soup line called Summer Red Raspberry Soup. 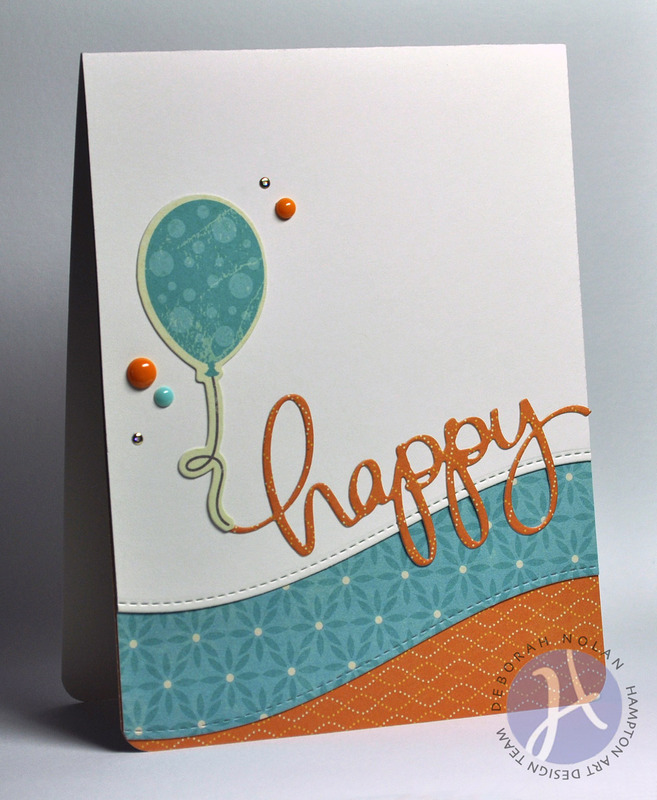 Here's a stunning Home Sweet Home card by designer Lori Williams featuring Graphic 45 Stamps and papers. Today's card features Jillibean Soup paper from the Sight Seeing Stew collection. 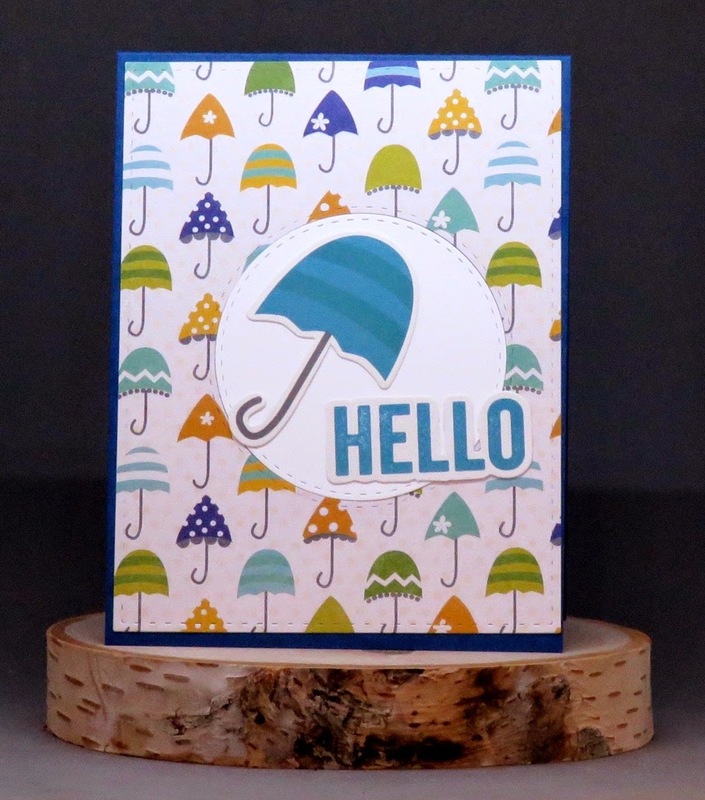 Make 4.25” x 5.5” card base. Cut dotted patterned paper.25" smaller than card front and adhere. Cut strip of .25" x 5.5" aqua and white patterned paper strip and adhere. Stamp sentiment with embossing ink, apply EP and heat set. 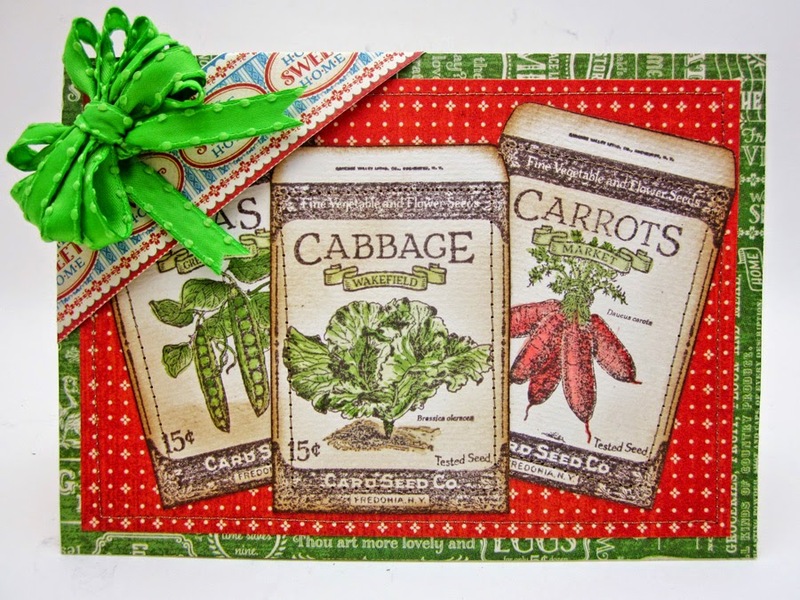 Cut "tickets" from patterned paper and adhere with foam adhesive tape. Thread button with cord, tie into bow and adhere.